As he does every Sunday, the Rt. Rev. Council Nedd II, an Anglican rector, will put on his collar and robes to offer Mass at his central Pennsylvania church. Now, he is considering wearing something else with his religious vestments: his handgun. As a Pennsylvania state constable, Dr. Nedd can bring his gun just about everywhere—to the grocery store, to the park and to synagogues and other houses of worship, where he often acts as security. His church was the one place where he went unarmed. “Weapons do not belong in church,” he said. But, as a bishop, he has “a responsibility to protect the flock,” he added. One week after a shooting at a Texas churchleft 26 dead and 20 more wounded, congregations gathering for worship around the country Sunday are once again facing the question of security. Long the last frontier where many gun owners went unarmed, the faithful are now considering whether they should bring firearms to their houses of worship as well. Many who live near Sutherland Springs, Texas, where last week’s shooting took place, said they didn’t bring their weapons into their houses of worship. 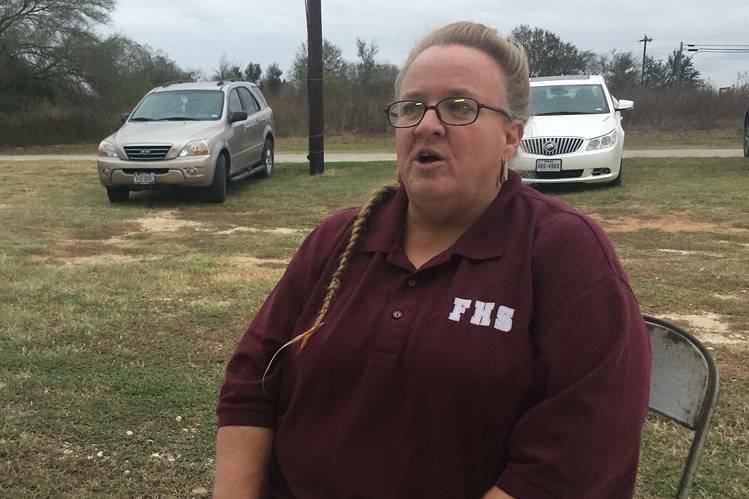 Tomie Barker, who attends Christ Lutheran Church of Elm Creek in Seguin, Texas, about 15 miles north of Sutherland Springs, said her husband didn’t have the firearm he is licensed to carry on him last Sunday when their church was locked down following the shooting at the nearby First Baptist Church. But, she said, he plans to have it with him this Sunday. Ms. Barker, 60, thinks other worshipers will feel the same, and said she told her pastor that the church should probably make note of who is armed in case another emergency arises. Houses of worship are among the softest of soft targets, with inherent missions and traditions emphasizing peace and welcoming. Churches, synagogues, mosques and Sikh temples have struggled to balance their desire to provide an open sanctuary for the community with security. In recent years, many houses of worship have installed cameras and hired armed guards. After the shooting last Sunday, Ken Paxton, the Texas attorney general, said churches needed armed protection. Another shooting is “going to happen again, so we need people in churches, either professional security or at least arming some of the parishioners,” he said in an interview on Fox News. Prestonwood Baptist Church, a megachurch in Plano, Texas, announced last week that it would be holding a free seminar on church security. Representatives from more than 300 churches, large and small, signed up within three days. With roughly 12,000 attendees at its services every Sunday, Prestonwood has armed security guards. Jack Graham, the church’s pastor, said the church had resisted putting in metal detectors so that the church would continue to feel welcoming, and didn’t allow open carry of firearms for the same reason. He suspects some congregants with concealed-carry permits do bring their firearms. But not every house of worship can afford private security. Smaller churches are now considering arming the congregation or clergy. Tambria Read, a schoolteacher and chairwoman of the Sutherland Springs Historical Museum, owns a gun and supports people being able to carry them, but had always preferred to keep firearms out of religious spaces. St. Alban’s Anglican Church in Pine Grove Mills, Pa., where Dr. Nedd is rector, has roughly 50 members, and no budget for private security. Until several years ago, the church was open 24 hours a day, with no locks on the doors. After a deadly shooting at the Emanuel African Methodist Episcopal Church in Charleston, S.C., last year, the St. Alban’s congregation discussed security measures. When a newcomer showed up, everyone eyed him warily. Dr. Nedd considered bringing his gun, but decided against it. Wendy Coulson, a 55-year-old member of St. Alban’s congregation, said she had never brought a gun to church before last year. Then, one Sunday after the Charleston shooting, she was spiritually guided to bring her gun, she said. Ms. Coulson has a concealed carry permit, and didn’t tell anyone it was with her, she said. Though she hasn’t brought her gun since, having it that day made her feel better, she said. “The reality of the times is that, if I’m in church, I can’t be completely abandoned to my worship, because I have half an ear listening for a strange sound—that’s the unfortunate part of what we’re dealing with today,” said Ms. Coulson, an engineering consultant. “If somebody were to target our church, I definitely would feel more comfortable that somebody else had an opportunity to slow them day,” she added. Inez Howe, another parishioner, is from a house with “so many guns.” But her family, too, hasn’t brought them to church. She uses the guns largely for rattlesnakes, she said, adding that her husband, a devoted shooter and collector, doesn’t want to be in a position of using a gun to kill a person. Still, Ms. Howe would be more comfortable now if someone—“maybe the bishop”—would be armed in church. Dr. Nedd, the church’s rector, remained torn about whether to arm himself. —Tawnell D. Hobbs contributed to this article. My office has five warrants on this individual. He is believed to be driving a blue four-door Honda with license plate HXS9593. The registered owner of this car is Salah Hussain. He is still believed to be in the State College area. My office has nine warrants on Cody Barnak. If you see Cody Baranak, do not approach or attempt to apprehend him. He should be treated as a dangerous individual. His known addresses include Port Matilda, PA, State College, PA and Penns Valley. His know associates include Kaitlynn Rearick. My office has three warrants for Mr. Bey. Mr Bey lives in Johnstown, PA.
My office has four warrants from this individual. He is beleived to still be driving a blue, Nissan Altima, PA license plate JFJ-2049 and as known addresses in State College, PA and Middletown, PA.
Ndugu Kamau is believed to be working in the petro chemical industry. Recent addresses include, State College, PA, Cheyene, PA, Louisana and Montana. He was scheduled to turn himself in and failed to appear. My office has three warrants for Mr. and Mrs. Lee for various housing code violations. The Lees are believed to currently be living on Katydid Court in Pensacola, FL. On Thursday March 23, 2017, the office of Pennsylvania State Constable Council Nedd, participated in warrant sweep with the Ferguson Township Police Warrant Squad and the Paton Township Police Warrant Squad. The warrant squads were seeking individuals with outstanding summary warrants. A total of 43 warrants were served before Magisterial District Judge Ronald J. Horner. Constable Nedd closed out 18 warrants on the day of the sweep. The charges were for traffic and non-traffic violations. These warrant sweeps are important. Once charges are brought against an individual, the must be resolved in court and the defendant held accountable. Though serious criminal warrants take priority over summary offences, all of the involved agencies make it a priority to serve all warrants. Those with active warrants are encouraged to report to the local police department or district court to resolve the warrant so they are not inconvenienced by being placed under arrest at home, work, or school. With so many stories in the news about misconduct, illegal activities, and repulsive behavior perpetrated by undergraduate members of Greek fraternities, I thought I would be slightly contrary to the trend, and share a positive experience. My prime responsibility and my true joy comes from serving as the rector of St. Alban’s Anglican Church in Pine Grove Mills, PA. Pine Grove Mills is in Happy Valley and about 5 miles from the campus of Penn State University. 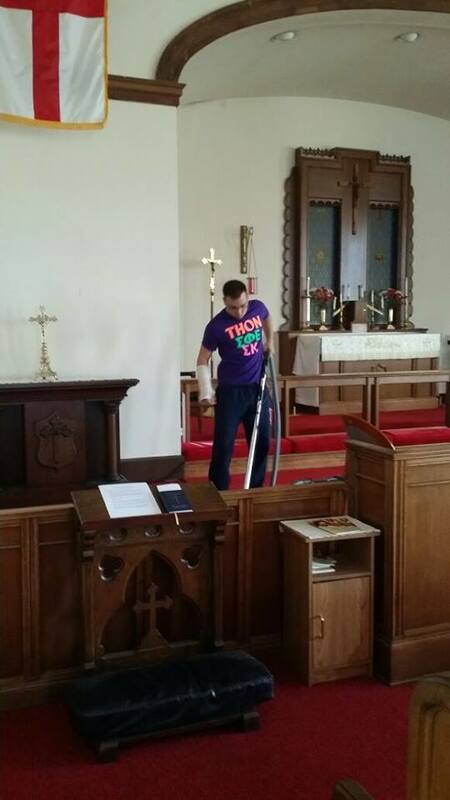 Every year our parish has a Spring clean-up. We had several pretty big projects that we wanted to undertake this year and we were short of (young) manpower. I spoke to one of the members of the congregation, Dr. Jim Edwards, who is an alumni member of Sigma Phi Epsilon and very active and involved in the lives of the Sig Ep chapter at Penn State University. In fact, because of Dr. Edwards, as a church we have been praying collectively for the fraternity every Sunday and Tuesday. So, when we needed help with our Spring cleaning the men of the Sigma Phi Epsilon were eager to help. They arrived on time and ready to work. They could not have been more polite or respectful. The building has never been cleaner or in better condition… and I could not be more thankful.